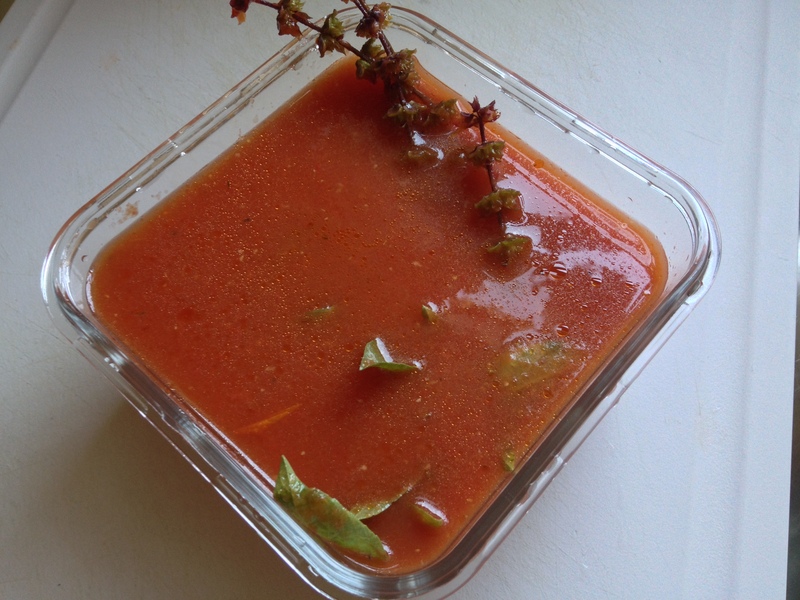 if you’ve already made the tomato sauce from our blog, then you are pretty much done. but if you haven’t, don’t despair, follow the simple instructions here. 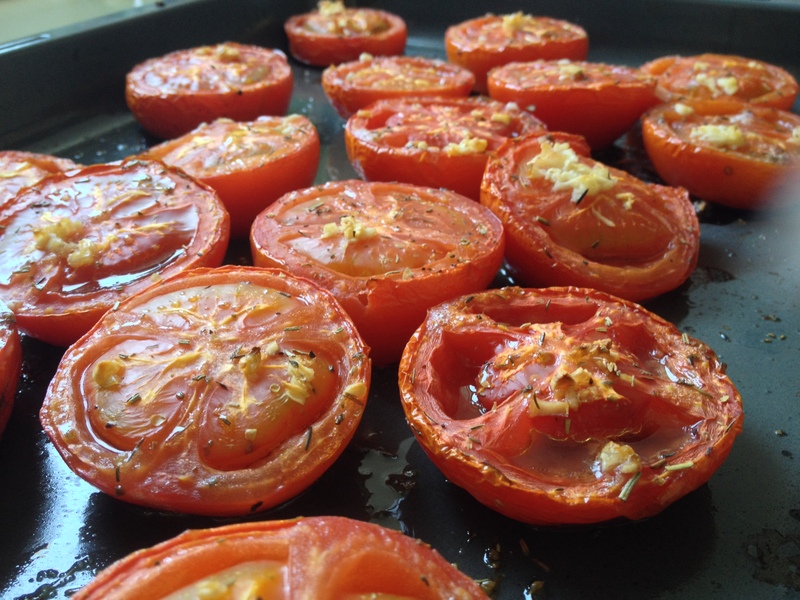 make sure to save the pulp from the leftover roasted tomatoes. 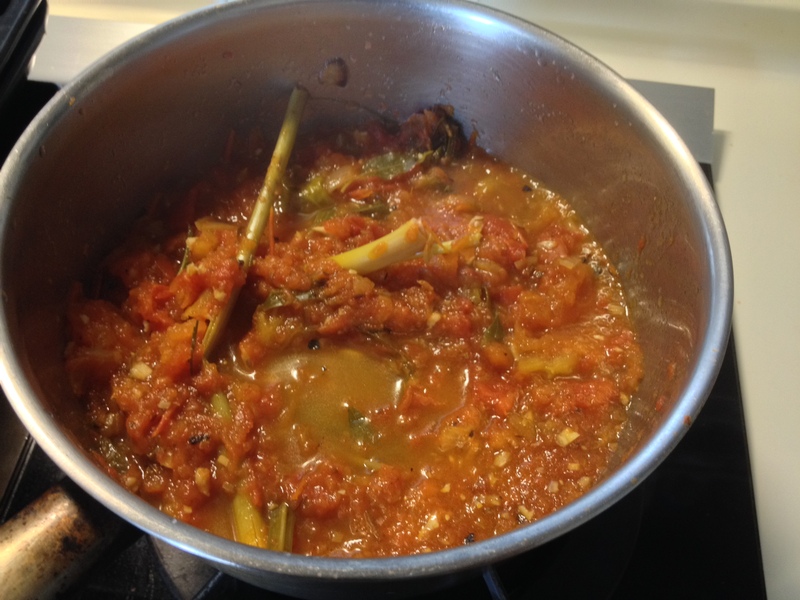 we will boil down the pulp to further extract the tomato goodness. 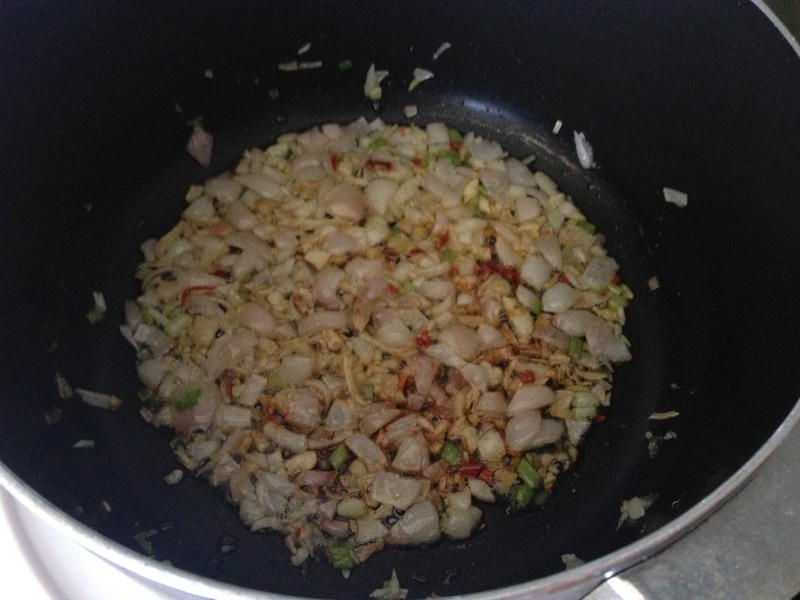 i like to sauteed some shallots and garlic first in the pan, this really helps bring out the aromas. 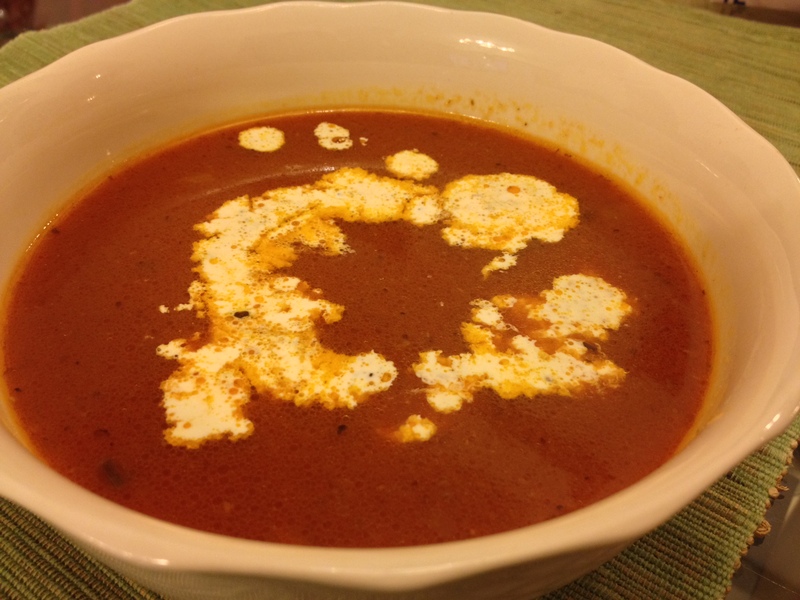 add some butter to the soup for more richness.